We are trying to eat more “raw” food as opposed to baked treats and these Bliss Balls certainly are a hit in our house. They keep best in the fridge and are very moreish so you have been warned! Remember to use organic ingredients where available as they don’t contain nasty chemicals or preservatives like 220 which can be huge eczema and asthma irritants. 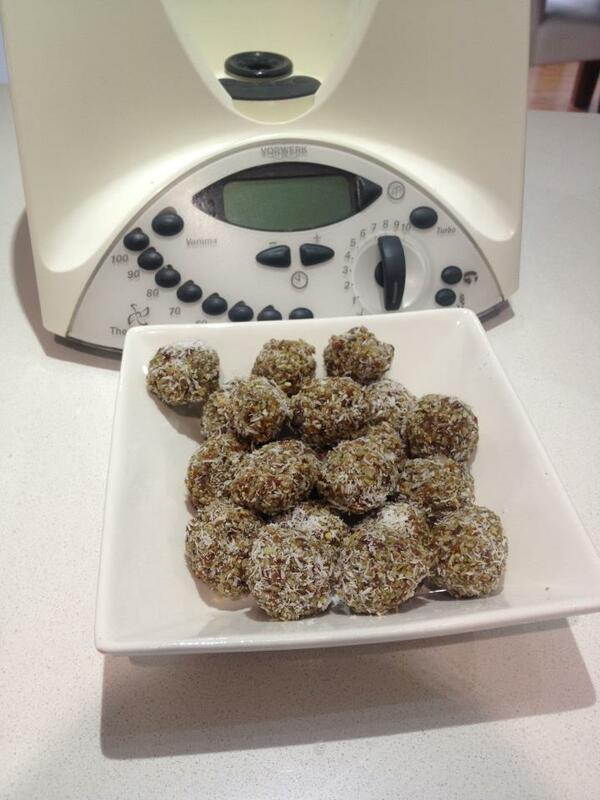 No Thermomix – don’t worry pulsing in a food processor/blender can achieve the same results you will just need to keep an eye on them and stop when you think the mixture is processed enough. These can be fruit & nut balls if you can do nuts or a mix of all three would be nice too.